Vighter Medical Group, a healthcare staffing and medical services company with global operations, announced today that MSG (Ret) Harold “Monty” Montgomery has joined its Senior Advisory Board. In this capacity he will assist Vighter’s executive team in strategic planning and provide an unbiased opinion regarding business performance. Monty has a proven ability to drive change within large organizations seeking to improve medical operations and we look forward to tapping into his expertise as we continue to grow our business. 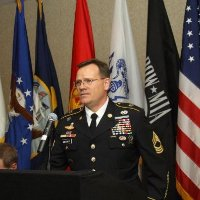 MSG Montgomery retired from the military in May 2015 where his last assignment was as the Senior Enlisted Medical Advisor at United States Special Operations Command (USSOCOM). As the SEMA, he was the Chairman of the Joint Medical Enlisted Advisory Council (JMEAC) and the senior enlisted voting member of the Board of Command Surgeons. He was a voting member on the Committee on Tactical Combat Casualty Care from 2006 to 2015. MSG Montgomery was the Regimental Senior Medic for the 75th Ranger Regiment and served in the Rangers for over 20 years. His previous positions include Medical Operations Noncommissioned Officer, Battalion Aid Station Noncommissioned Officer-in-Charge, Company Senior Medic in the 1st Battalion, 75th Ranger Regiment and Company Senior Medic, HHC, 75th Ranger Regiment. He has participated in multiple deployments in Operation Enduring Freedom (Afghanistan), Operation Iraqi Freedom (Iraq), Operation Uphold Democracy (Haiti), and Operation Desert Storm/Iris Gold (Kuwait) with the 75th Ranger Regiment. Academically, MSG Montgomery received his BA in Business Management at Saint Leo University. He is licensed by the National Registry of Emergency Medical Technicians (NREMT) and as a Special Operations Advanced Tactical Paramedic (SO-ATP). MSG Montgomery is affiliated with the following organizations: Special Operations Medical Association, the 75th Ranger Regiment Association, Association of Military Surgeons of the United States, National Association of Emergency Medical Technicians, and National Infantry Association. Vighter provides Unconventional Medical Solutions around the world. Our laser focus on customer service and high standards for quality has earned Vighter an excellent reputation over the past decade. Whether clients require healthcare staffing services in the United States or special operations tactical support in austere environments abroad, Vighter is there to help. Vighter is an ISO 9001:2008 registered Service Disabled Veteran-Owned Small Business (SDVOSB) firm verified by the Center for Veterans Enterprise. It received The Joint Commission certification in Health Care Staffing Services (HCSS) and is also accredited by the National Accreditation Alliance Medical Transport Applications (NAAMTA). Vighter is also ANSI/ASIS PSC.1-2012 certified. In 2016 the company was listed at #310 on Inc. 5000’s list of fastest growing private companies.